Arverne by the Sea Sales Center - Marketing Specifics, Inc.
Arverne by the Sea is a masterplanned community set on 117 acres of oceanfront property in an area known as The Rockaways in New York. The community is an urban renewal project that is focused on providing beautiful, affordable housing, while also redeveloping an area that has long been neglected and forgotten. Two three-story townhomes were used together for the sales environment, creating a unique opportunity to draw visitors from one area to another and from floor to floor, making certain to showcase spectacular views of the Atlantic Ocean just outside. Our design team chose a serene color palette of taupe, cream, sea green and various shades of blue that closely echoed the aesthetics of a luxurious high-end spa. We also utilized materials like honey maple, blue glass tiles and turquoise granite to further enhance the peaceful experience, that highlighted the history of the area, while showcasing the amenities and homes of the future. The magic of interactive technology was used in various ways to connect the past with the present. A fiber-optic sitemap lights up to showcase the amenities within Arverne such as; the water, parks, schools, the boardwalk, neighborhoods, shopping and restaurants. 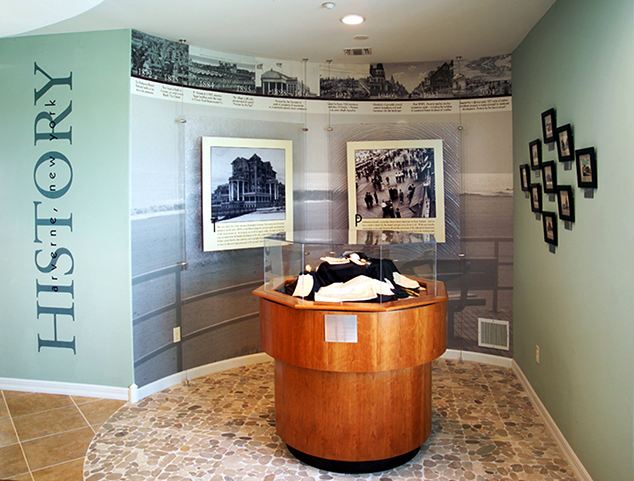 A rotating history kiosk highlighted various artifacts from the period of Arverne’s first popularity in the early 20’s and 30’s. 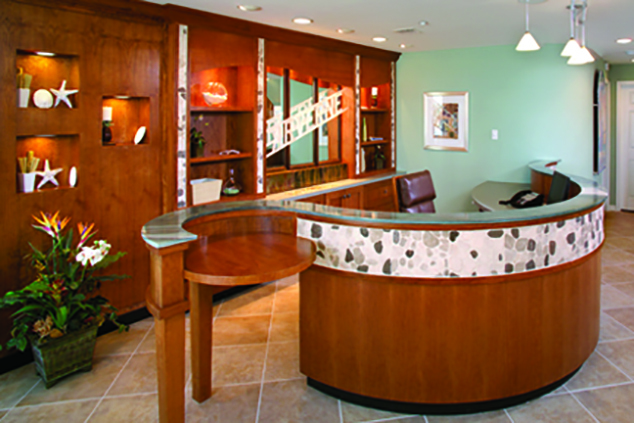 Another feature was a mirrored copper waterfall at the reception area adding to the connection of the outdoors with the indoors. 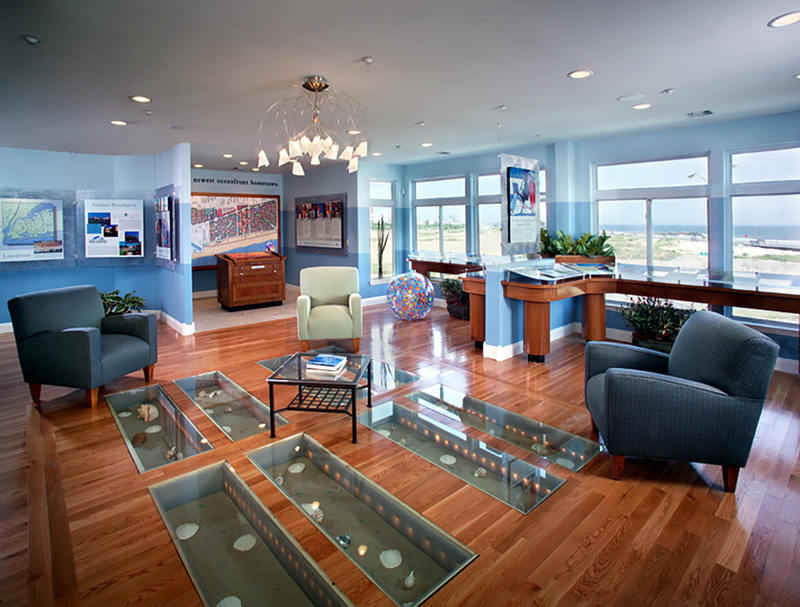 A saltwater fish tank, custom hardwood floor insets with complete sand and seashells and a spectacular 3rd floor view of the Atlantic, rounds out the exciting experiences of this memorable sales center.